For several decades, King Law Firm delivered aggressive defense for people charged with crimes in Kansas City, Missouri. The founder of our law office, Bryant King, leverages past experience as an assistant prosecutor in Platte County to craft powerful strategies for clients. He uses this unique insight as well as extensive trial experience to pursue the mitigation or elimination of allegations and penalties. Mr. King is part of The National Trial Lawyers: Top 100 list. Our law office is able to handle many types of misdemeanors and felonies. These include drug possession, assault, theft, weapons offenses, computer crimes and probation violation. Additionally, we deliver niche defense for allegations of driving while intoxicated, driving under the influence of drugs and Breathalyzer refusals. We also represent clients with traffic violations. Beyond criminal matters, our office is available to help with sensitive family cases. We oversee the divorce process and seek solutions to related conflicts, such as child custody, child support, alimony and division of assets. Our firm also assists with modifications, paternity cases and domestic disputes. In addition to criminal charges and family law issues, our office represents people with personal injury and wrongful death cases. Having previously worked for an insurance company, Mr. King understands what clients are up against. Our law office takes cases across Platte and Clay Counties and provides a free initial consultation. 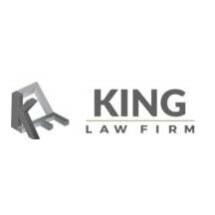 King Law Firm accepts credit cards as payment.